The acropolis of Tel Hazor or the Upper city of Hazor, Tell el-Qedah (تل القضاه‎) is an archaeological site featuring an upper tell of 30 acres dating as far back as Canaanite times. Tel Hazor's Upper township is about 40 meters higher than the lower Hazor, making up about 1/8 of total archaeological site of Hazor. 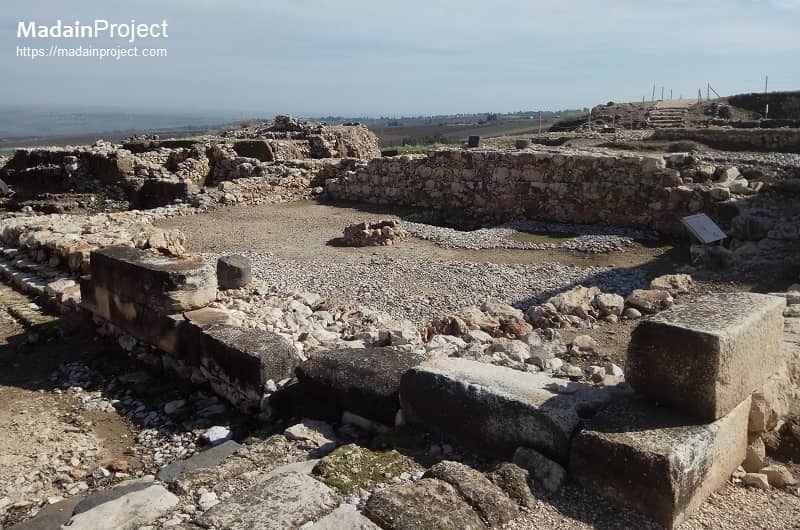 During the Canaanite period Hazor was the largest city in the kingdom. it included the upper city and the lower city, and reached some 800 dunams in size. Its inhabitants numbered approximately 15,000 and it was called "the head of all those kingdoms" (Joshua 11:10). 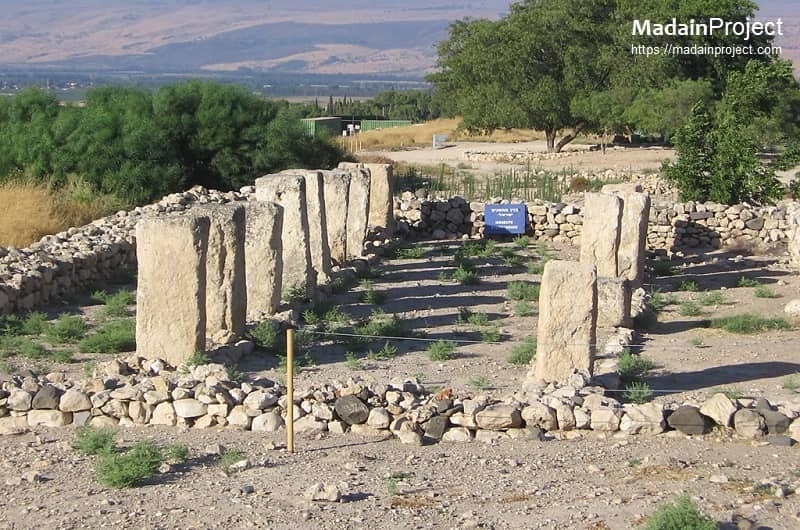 The site of Hazor is around 200 acres (0.81 km2) in area, with an upper city making up about 1/8 of that. The upper mound has a height of about 40 meters. Initial soundings were carried out by John Garstang in 1926. 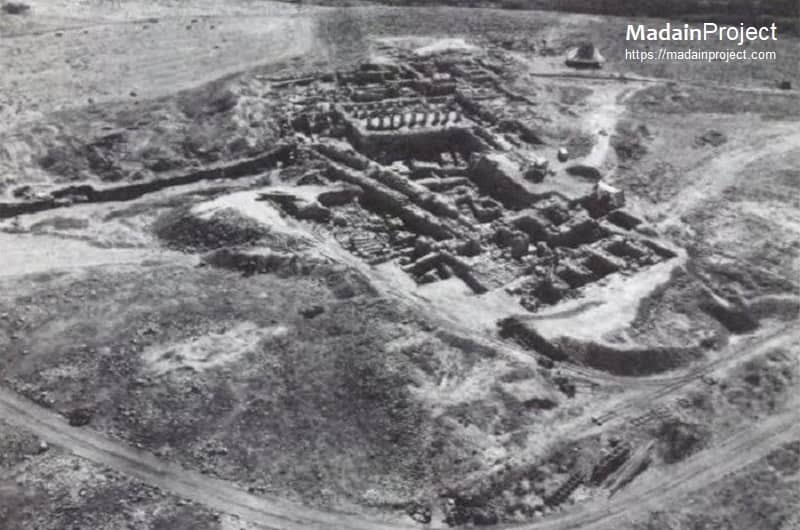 Major excavations were conducted for 4 seasons from 1955 to 1958 by a Hebrew University team led by Yigael Yadin. 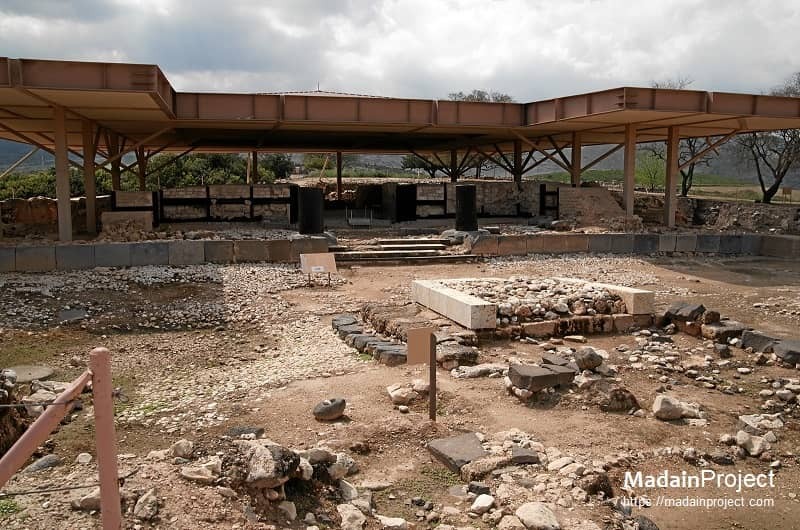 Findings from the dig are housed in a museum at Kibbutz Ayelet HaShahar. In 2008, some artifacts in the museum were damaged in an earthquake. Sometime during the Canaanite period, a basalt staircase was built to connect the lower city with the upper city. Some other new installations were added in the late Canaanite period, including a cultic high place (bamah) and standing stones (matseboth). Four holes were drilled into one of the slabs of stone in order to support a throne (11 Kings 23:8). 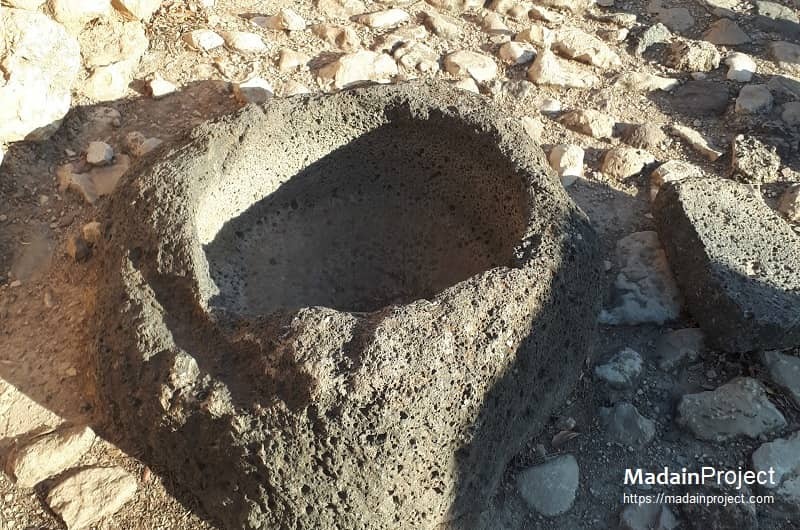 Constructed during the reign of King Ahab (9th century BCE), the cistern (peek inside) was designed to supply the inhabitants of the city of Hazor with water in times of siege. A vertical shaft was dug through the earlier occupation layers, at the bottom of which a sloping tunnel was hewn, reaching ground-water at the depth of approximately 40 meters. 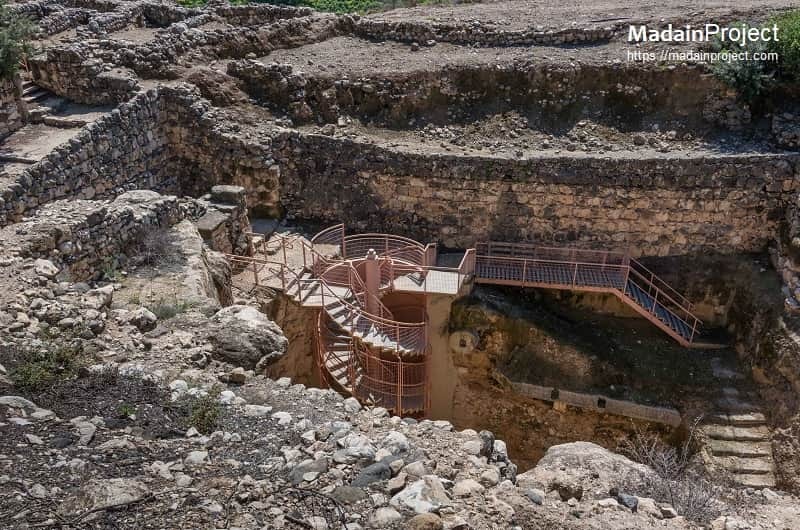 Before this time, the city inhabitants had to go outside the walls of the city to the Hazor Ravine in order to collect water from the springs. 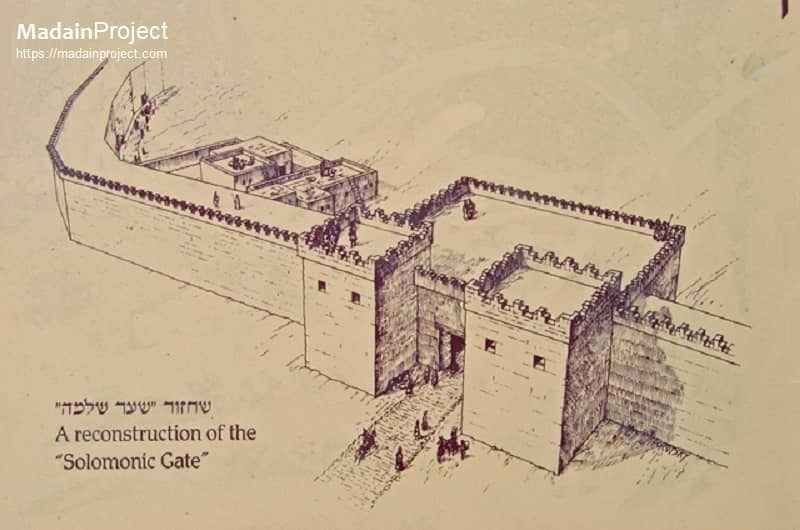 Dated to the tenth century BCE, near the late bronze age palace, this gate (illustration) has six chambers and two towers. 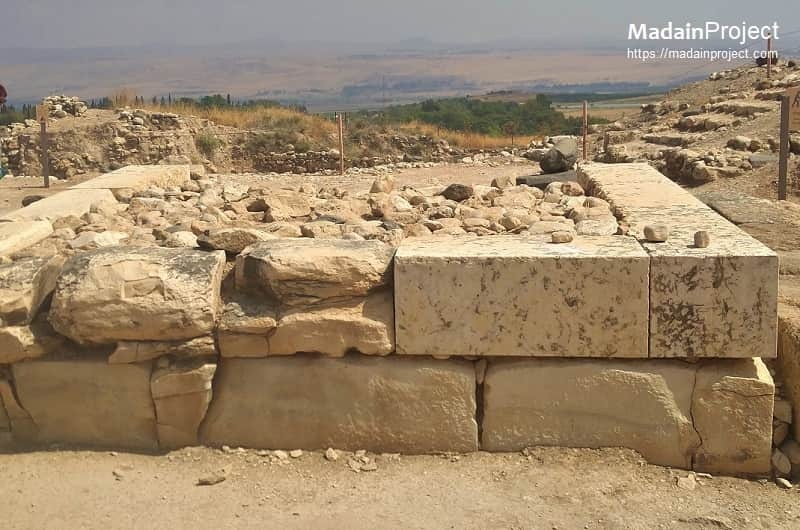 Similar gates have been uncovered at Megiddo, Lachish and Gezer. A summary of King Solomon's activities indicates that the king built Hazor, Megiddo and Gezer. 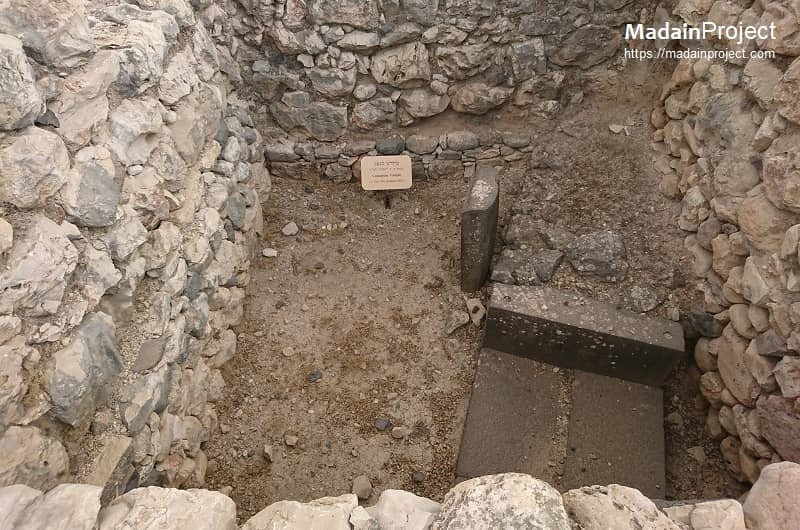 In the second chamber of the southern wing of the Gateway of Solomon, a late bronze age temple and cultic stele was discovered. 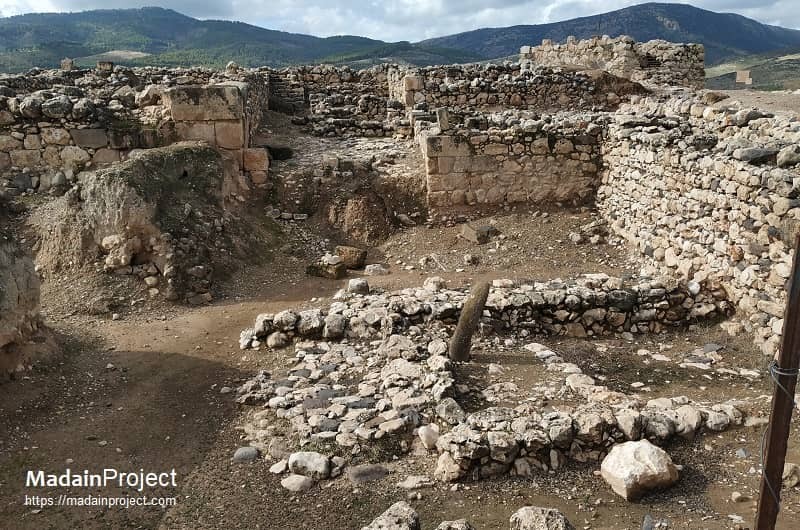 While probing into the middle chamber of the southern part of the gate, archaeologists uncovered this late bronze age temple. Next to the temple's doorway, they uncovered a cultic stele. 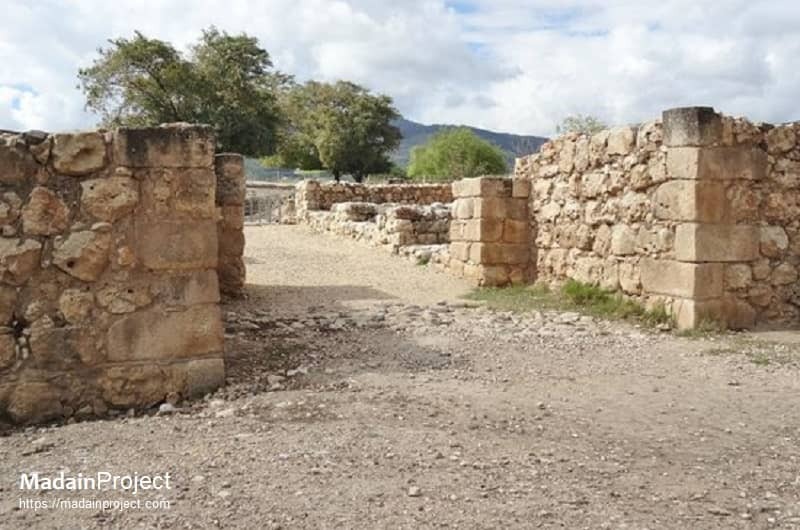 Strikingly, Solomon had built his gate directly upon these remains. 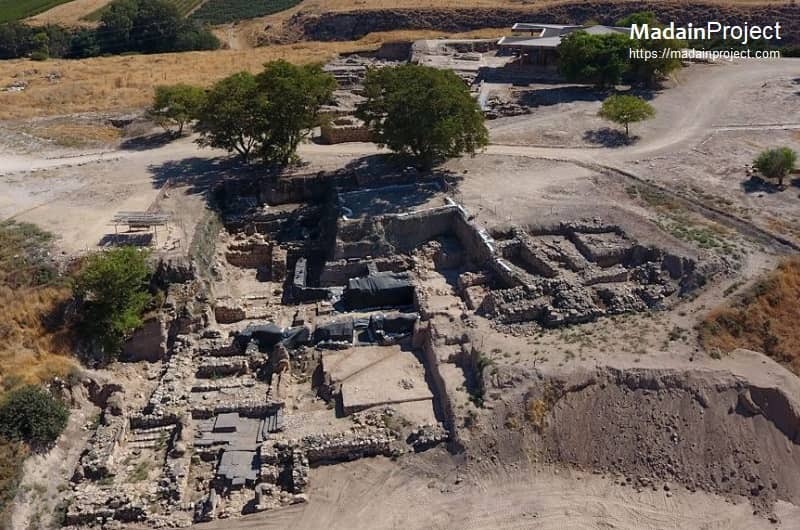 The palace, which server the kings of Hazor during the 14th-13th centuries BCE, is of a ceremonial nature (the administrative palace is to be saught elsewhere on the site). The plan, consisting of a courtyard and a throne room, and contructional elements of the building - combining stone, mud-brick and woord - show a distinct influence from northern Canaan (present day Syria). The floor of the throne room was originally made of wood, and large quantities of wood was also incorporated in to the walls, and roof of the building. The southern temple was in use from the middle bronze age until the late bronze age (17th-14th centuries BCE). The temple was originally a prominent structure, with wide, well-constructed wall, and its three strata of stone pavements attest to its continous existence. A niche in the western wall, directly opposite the entrance, probably held the divine statue (which was not preserved). 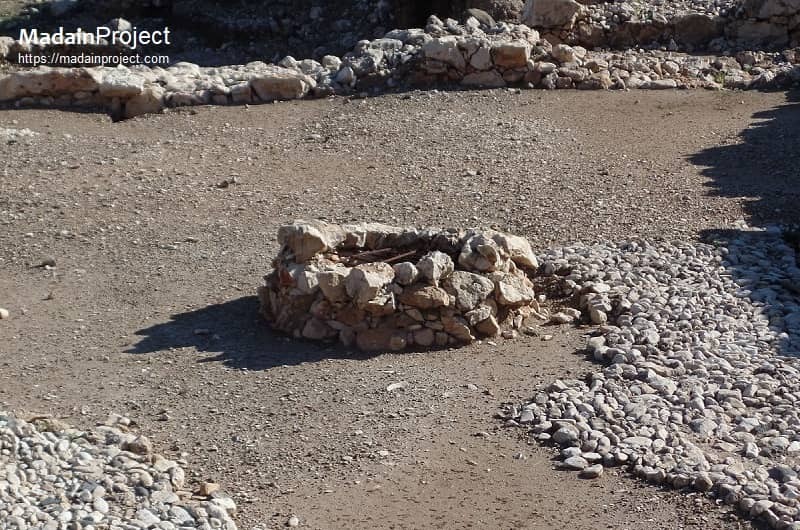 A deep, stone-lined, favissa (inspect), located in the center of the temple contained many clay vessels, including ritual ones, and numerous bones of animals. This building, typical of the Israelite period, is divided in to three long halls by two rows of pillars. This arrangement made it possible to construct a basillica-like structure with the central portion of the roof raised above the side portions. This two-level roof allowed ventilation and admitted light to the structure, which probably had no windows. Most structures of this type served as a public storehousse; those uncovered at Hazor were utilized for grain storage. This is probably the lastest structure to be built in Israelite Hazor. It was designed to protect the western flanks of the city from the Assyrian invasion. In the year 732 BCE Hazor, together with the entire Galilee, was conquered by the Assyrians "In the days of King Pekah of Israel, King Tiglath-pileser of Assyria came and captured Ijon, Abel-beth-maacah, Jonoah, Kedesh, Hazor, Gilead, Galilee, the entire region of Naphtali; and he deported the inhabitants to Assyria" (II Kings 15:29), an event which heralded the beginning of the end of the independence of the Kingdom of Israel. 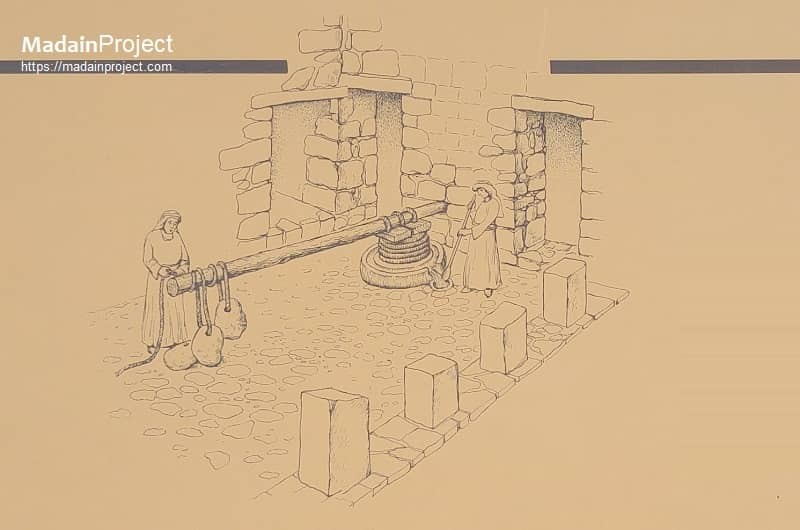 The four-room house at Hazor has a second-stage olive press (illustration). The olives were first crushed in a basalt crushing basin, placed on the left (inspect). The crushed olived were then placed in woven reed baskets and set atop the press bed. Pressure exerted on the crushed olives by the beam, from the end of which stone weights were suspended, extracted the oil. The oil then collected in the jar embedded in the courtyard floor. Several similar oil presses have been discovered so far, most of them in the north of the country. 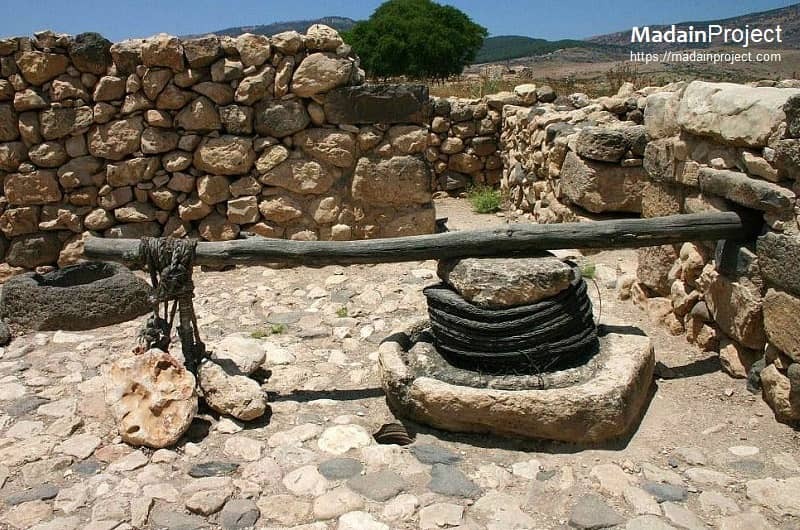 In the central part and in Judea oil presses of a slightly different kind were used during this period. 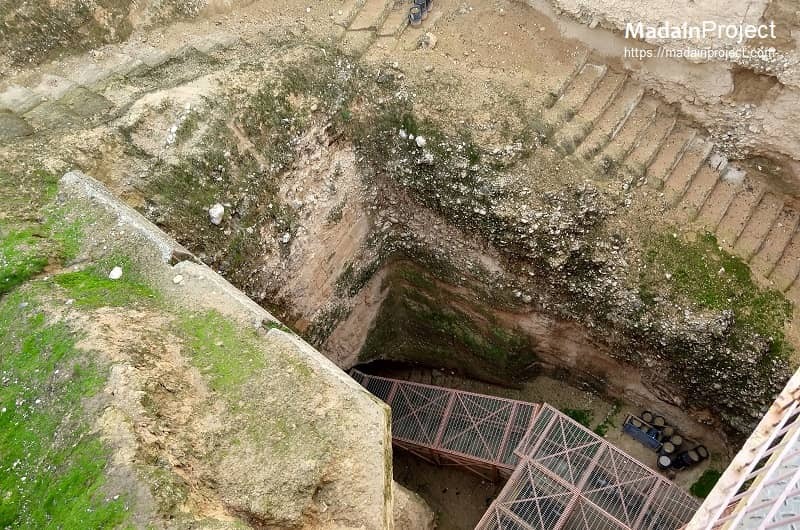 In the courtyard of the Canaanite palace, a large cultic high place (bamah) was excavated. In the 1997 excavation season, two wedding rings (perhaps cultic offerings) and a bronze snake were found at the base of the high place. 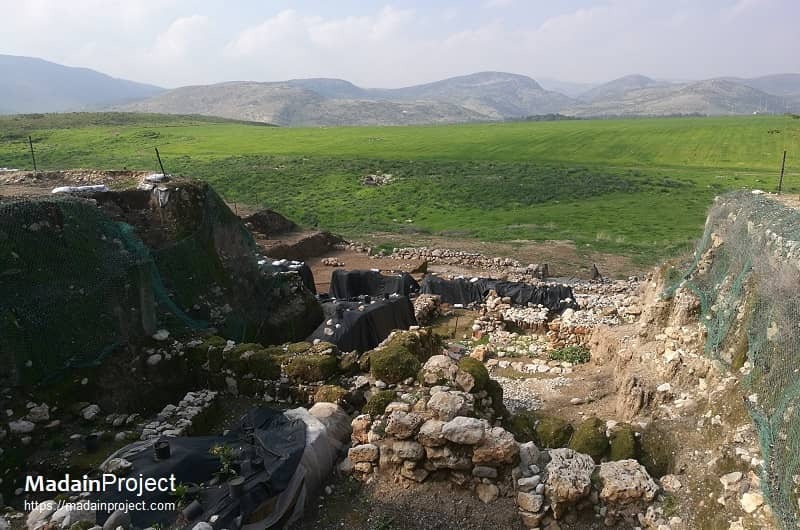 "The Hazor Excavations Project". unixware.mscc.huji.ac.il. Retrieved 2015-09-03. "Scorched Wheat May Provide Answers on the Destruction of Canaanite Tel Hazor - Biblical Archaeology Society". 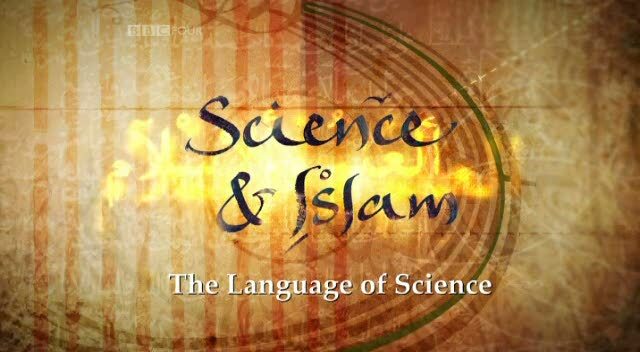 biblicalarchaeology.org. Retrieved 2015-09-03. P. James, "The Alleged 'Anchor Point' of 732 BC for the Destruction of Hazor V", AntOr 6 (2008).